Christmas is less then a month away! I am already stressing about what to get people, but I at least know how I will decorate to get in the Christmas spirit! 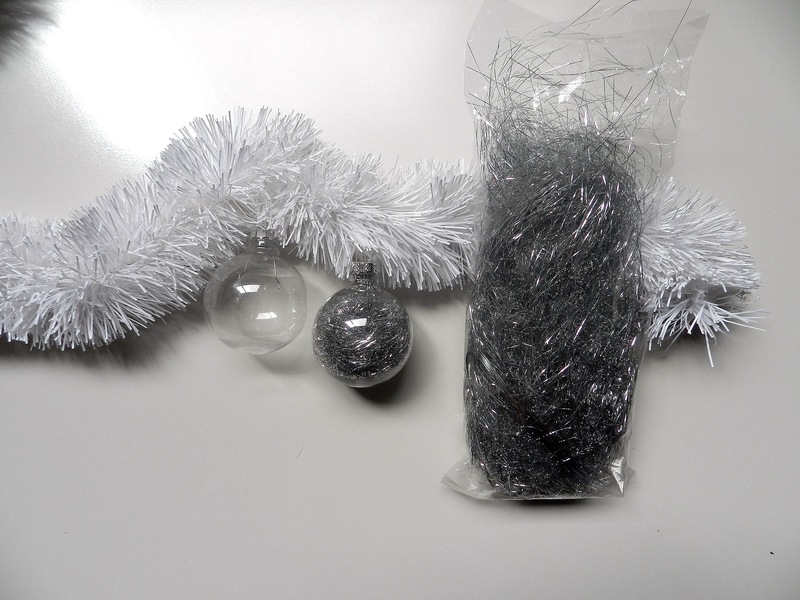 I thought I would put together a quick tutorial on how I made some Christmas Baubles. These can be hung on your tree or even around your bookshelf. They don’t take long to make and you don’t need too many supplies if you only want to make a few types. I bought all of my supplies from Lincraft and Riot Arts and Craft, at the time both were having sales so it didn’t come at a huge cost! 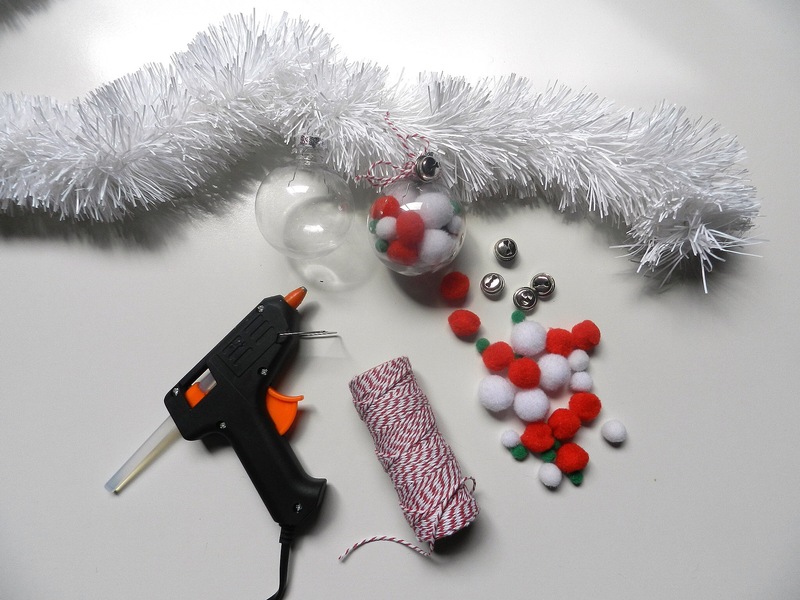 First things first your going to need some craft baubles. I bought 2 packs of 9 which have various sizes. I purchased mine from Lincraft but you can also buy these at Spotlight and Riot Arts and Craft. If your international I would say most arts and craft stores would sell these. I have also seen them on eBay. Next you are going to need some fillers. Some tinsel, confetti, little Pom Poms. I also grabbed some stickers to stick on the outside of the baubles! All of these supplies were purchase from Riot Arts and Craft! 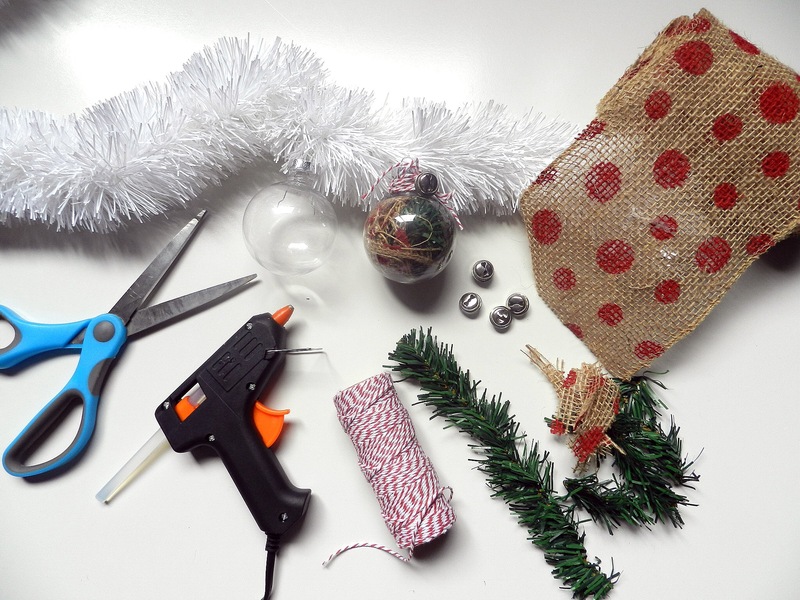 And lastly some more fillers, scissors a hot glue gun and some twine. Of course you will also need an audiobook for some background noise! Yes, I am currently re-listening to ACOMAF, I couldn’t help myself and yes I do need help! 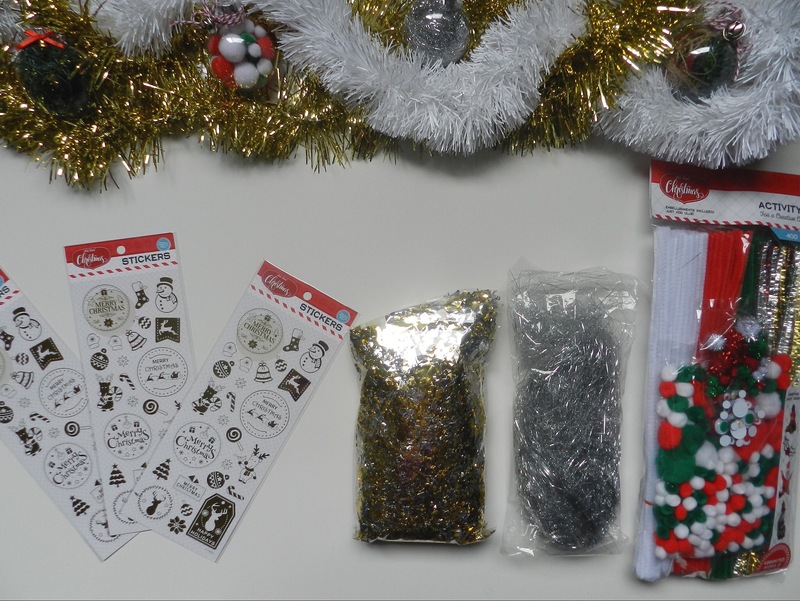 As you will be just filling the baubles it’s not a requirement to have any of the supplies above (except for the baubles) this is where you can let your creativity thrive! I’ve seen a few really minimalist baubles in my travels, and I think this is a really easy way to achieve that look yourself. I have put a good amount of tinsel in this bauble but it also looks really cute half empty because it clings to the sides. 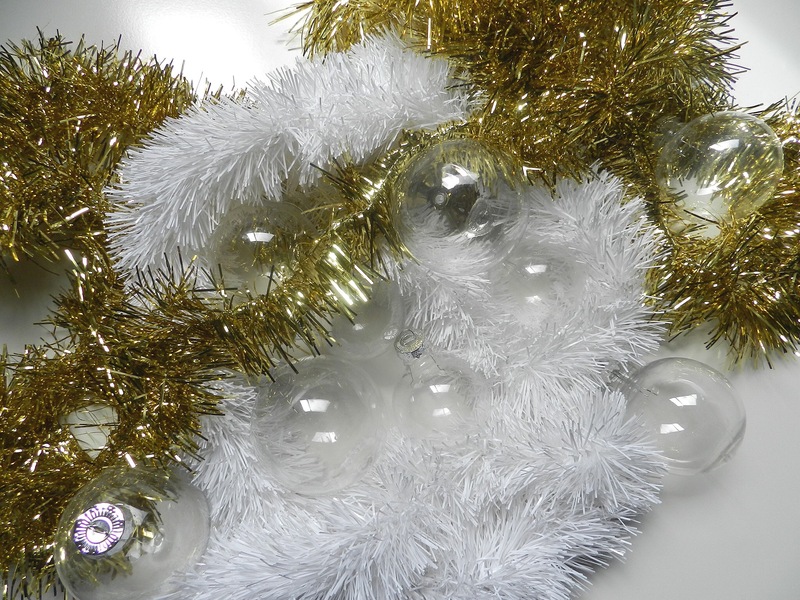 Similarly to the one above minimalist is they key you can put less or more in the baubles. 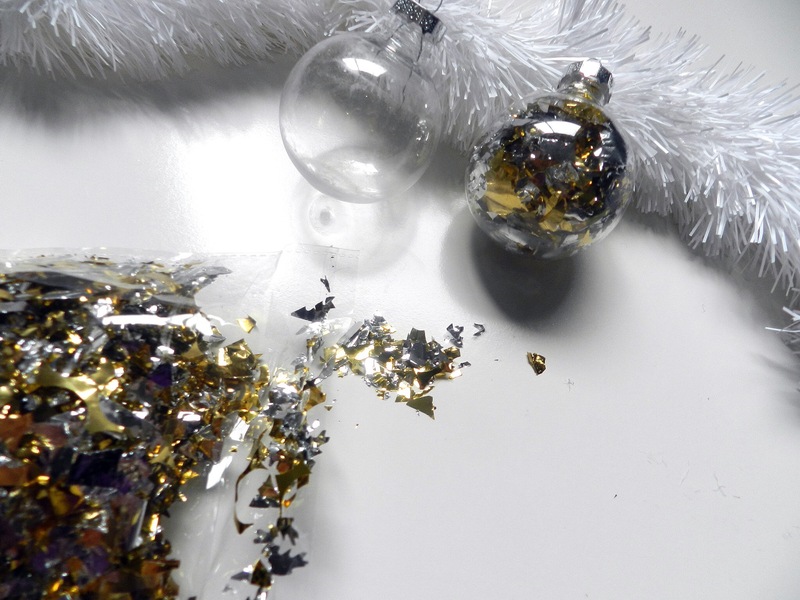 I actually saw a bauble in H&M the other day that had about 2 teaspoons of glitter in it and the rest was left empty, there is no reason why you couldn’t do the same with the confetti. I love the way the light hits this one. This one is my favourite! It takes a lot more time but I think it’s worth it. To begin with you are going to want to cut up your supplies. I had a little Christmas tree that I used to put up in my room, but I have no space for it this year so I thought i would cut it up. I cut the little stem off the Christmas tree and then cut that into 3. If you have some good quality sharp scissors then I would suggest using those as it isn’t easy. Then you will need to cut up the hessian as well, you can do this as small or large as you like as long as it fits through the hole. 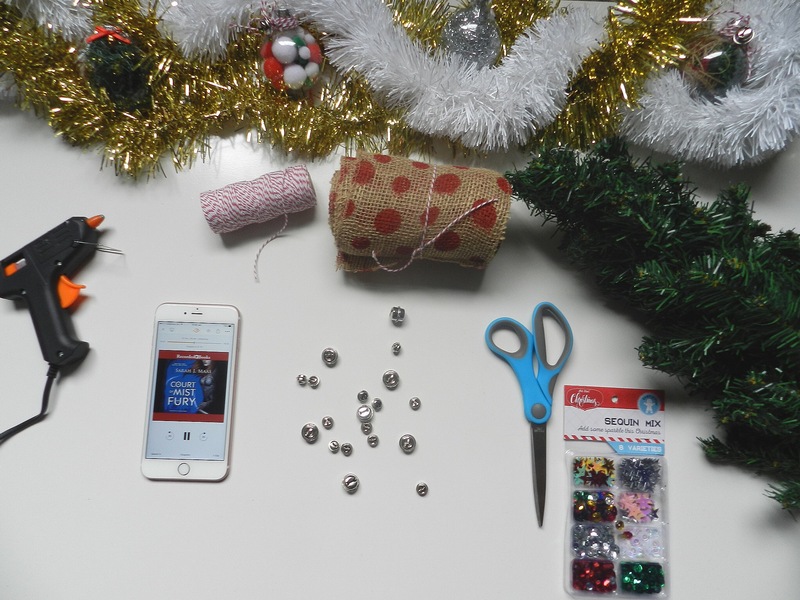 From there half fill the bauble with the bits of Christmas tree using you scissors to push it down and shape it a little. 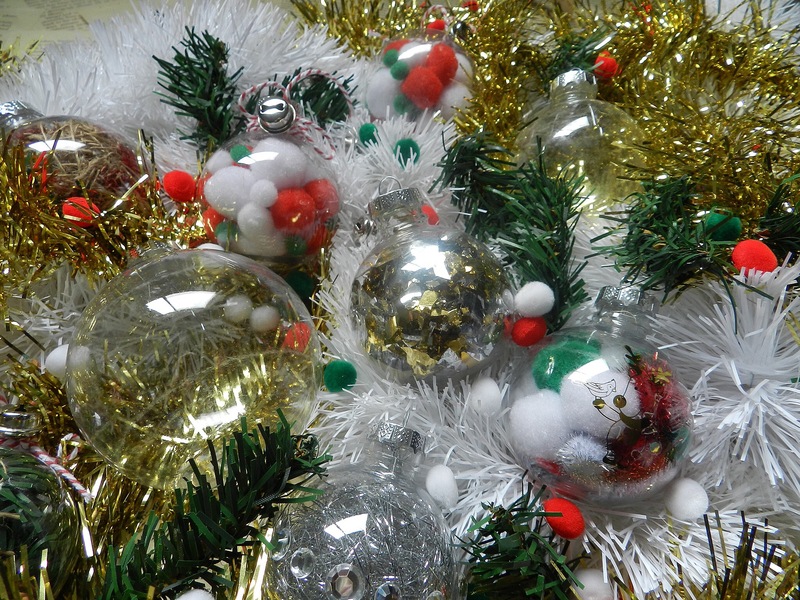 Then I wrapped some twine around the top of the bauble, sticking it down in the ends with the hot glue gun. I love these little Pom Poms. You can buy them any time of the year in the arts and craft shops but I bought a pack that has the red white and green. These just pop on in and you can fill the bauble up as much as you wish. I also did the bell and twine around the outside like the one above. So there you go! 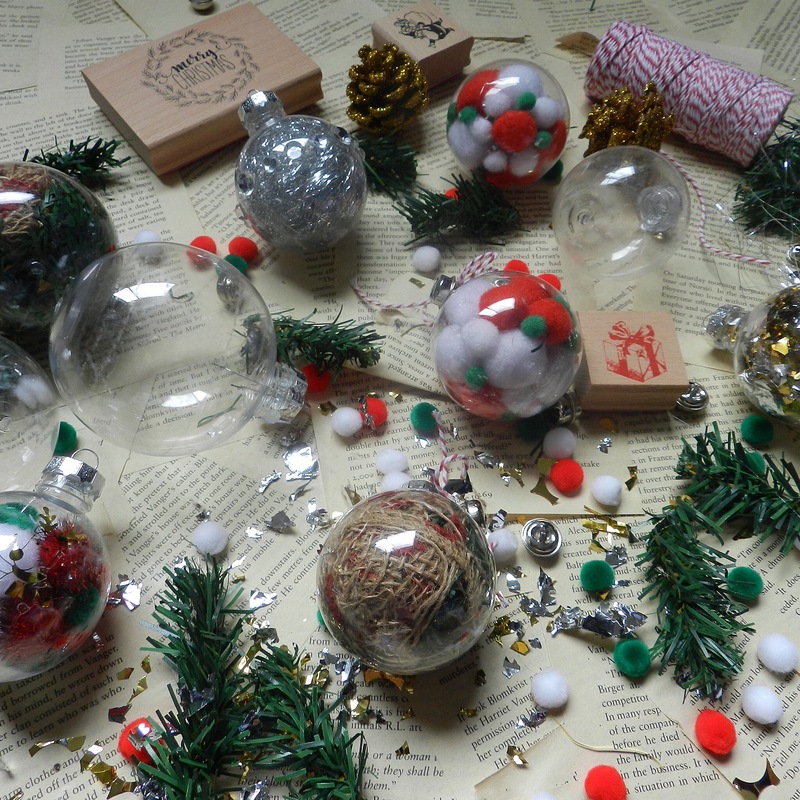 Super easy and cheap to make your own Christmas Baubles, and the best thing is you can empty these next year and start with something new! You could give these as gifts, hang them on your tree, decorate your bookshelf with them or even add them to a present. it is also super fun and relaxing so there is always that benefit as well. 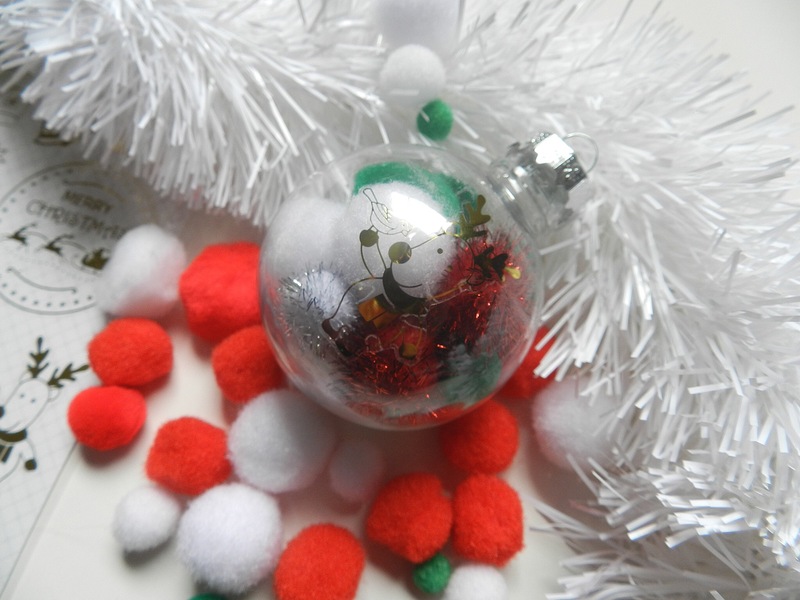 If you have any ideas on how to to decorate the baubles pop them in the comments below. I still have heaps left and am always up for some new ideas!